We have re-launched our website! Users can discover more about the impact of our work in Rwanda and how rural communities are benefiting of been able to access basic healthcare services and medicines. With the improvement of One Family Health´s website, we offer to the viewer a fresh new insight into our project development and what we are all about. Our goal, now with a stronger and more informative platform, is to have a bigger reach and approach as many people as possible. Everyone counts! 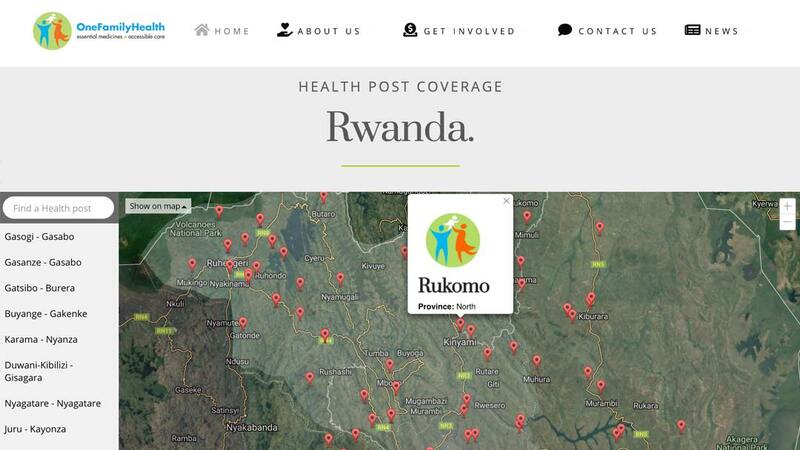 As part of these improvements, we offer a new and refreshing interactive map, from where you can understand the dimension of our Health Posts distribution throughout Rwanda as well as many other new features, like mobile ready and Social media integration. We want to educate and engage people as soon as they enter our platform so they can potentially help out and follow our journey. It’s very easy to participate in the development of our project, don’t hesitate and contact us.